Professional Dentists at Bangkok dental clinic specialized dentists Thailand. www.BangkokDentalHospital.com "Dentists,Dentist Bangkok,Dentist Thailand,Dental Bangkok,Dental Thailand,Dental Professional"
Bangkok Dental Hospital (Silom Dental Building) is renowned the pioneer of modern dental clinic providing multidisciplinary services in dental treatment that covering all aspect of dentistry Our team of doctors and staff working here are highly qualified. We have been specialized dental treatment for over 15 years in named of Bangkok Dental Hospital. The trust that our patients have in us for a long time is based on effects of team work of our dentists. 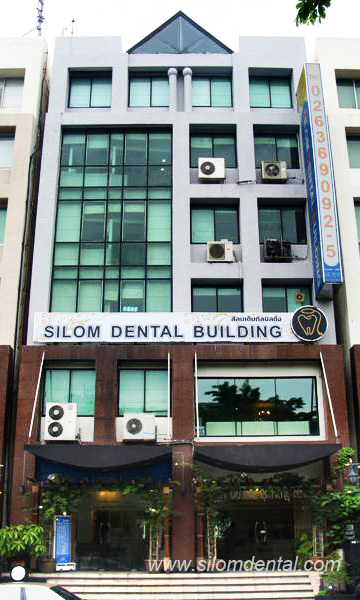 Silom Dental Building houses over 45 dentists in Bangkok Thailand. Most of our dentists are outstanding and well known in their ability and quality. Our professional team has been undergone periodic training programs to update their knowledge in every fields of dentistry especially the esthetic dentistry as our main concept. Everyone here has the same commitment to provide the highest dental treatment quality in areas of their specialization. Every treatment performed here will be done with utmost care and responsibility.